I'm not sure Mrs Bhagpuss has actually read it yet. I drew her attention to it at the earliest opportunity but her interest was, shall we say, muted. She'd been playing WvW while I was at work and the post on the forums had been up for a while but she hadn't heard anything about it until I told her. I was expecting her to tell me people had talked of nothing else all day in /team and guild chat but apparently it hadn't earned a mention. It didn't get an airing in the session I played that evening either and it wasn't until the next evening that I first heard someone raise the topic. 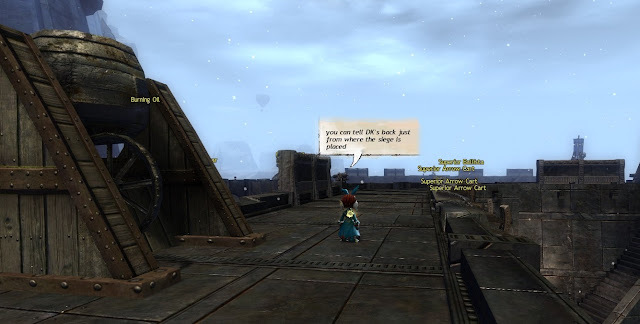 That was a single question dropped into the guild chat of the 500 WvW member guild I'm in on Yak's Bend. You could hear the tumbleweed rolling by. Since our superstar Commander and guild leader packed his yak and departed for pastures unknown just before Path of Fire arrived the guild has been moribund so the lack of response wasn't surprising. It's rare for anyone to speak in that guild these days. Eventually a desultory conversation began, mostly between me and the person who raised the topic. No-one else seemed to care. As for Team and Map chat, which are both generally lively, I have yet to hear the subject come up. Maybe this weekend, which is always the peak time for conversation between people who don't play all that much WvW but think they know more about it than anyone else. Or maybe people who actually play WvW are just beyond caring these days. There are always forum warriors willing to fight any battle, of course. The main thread on the changes is impressively voluminous. As I write it stands at 33 pages, made up of 1.3k posts, viewed 82.9k times. If you read through it, though, as I mostly have, a very large number of those posts are the same handful of people relentlessly bickering amongst themselves. There's even a very lengthy sub-debate going on about how the changes will impact the roleplaying community outside of WvW that threatens to hijack the entire thread. The devs have been fairly active in answering questions and concerns but because a thirty page thread full of giant, nested quotes is extremely hard to navigate those replies are difficult to find, especially using the less-than-stellar "Dev Tracker" function. Fortunately Raymond Lukes, presumably the ANet employee who lost the last office game of one-potato-two-potato, has pulled all the replies into a makeshift FAQ. The changes themselves are radical and would be shocking...if they weren't by and large a revamp of the "Battlegroup" changes that were leaked several years ago. 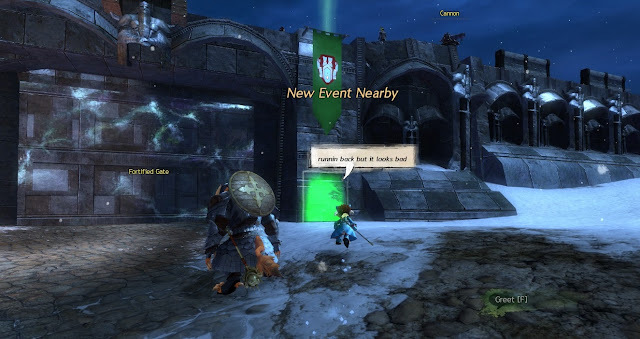 Back around then, just before he left for good, Colin Johansen confirmed that ANet had spent a year on a "major WvW overhaul". 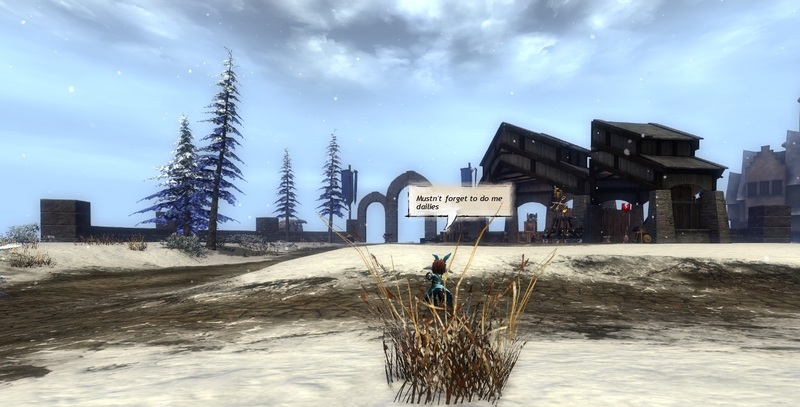 That plan largely collapsed in a firestorm of protest and controversy after the disastrous imposition of the Desert Borderlands maps that came with Heart of Thorns almost killed WvW off completely. A lengthy period of retreat and retrenchment followed, during which the game mode pulled out of its death dive only to stabilize at a much lower level. Following the usual reluctance of MMO companies to own up to the need for server merges, the ongoing issue of falling populations and declining interest was bodge-fixed with the current "Linking" system, whereby smaller worlds are rammed together with bigger ones then re-sorted every couple of months according to some invisble criteria that no-one understands. That has been unpopular with many. I kind of like it myself because it adds an element of surprise and variety but it certainly does absolutely nothing for community spirit, stability or genuine balance. Linking does at least have the benefit of being very simple to understand and implement. The proposed new system is neither. It's hideously overcomplicated, ferociously arcane and, in the opinion of many commenters, likely to create hitherto unimagined possibilities for exploitation by the players. 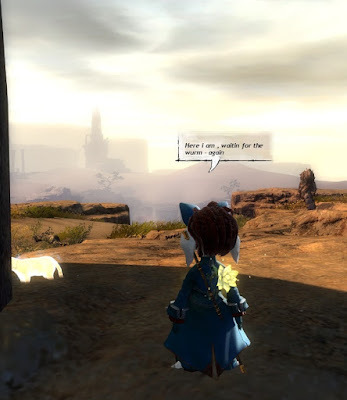 Given Anet's five year history of being entirely incapable of managing either player behavior or expectations, my own take is that this will be an unmitigated disaster. So far players have proved themselves capable and willing to run rings around the developers' intentions at just about every turn. I can guarantee that already the self-appointed movers and shakers of WvW will be organizing the most effective ways to bend the new rules past breaking point. The proposal does come with the usual caveat that it may never happen. As McKenna Berdrow, who wrote the original proposal, warns: "If the reception is not great for this system, then the other alternative is most likely to continue World Linking." ArenaNet, more than any MMO developer whose games I have ever played, runs scared of player opinion. Even so, nervous as they always are when announcing them, unpopular changes often do go through. As they float this change for WvW they are clearly in a mood to bite the bullet for what they see as the good of the game because there are also a bunch of potentially unpopular class and system revamps due in the upcoming balance patch. I think the WvW changes are mostly a bad idea but if they do go through I'm sanguine. While we will get the class balance patch very soon, whether we want it or not, the WvW revamp, if it ever happens, is probably something like six to twelve months away, so there's no point worrying about it yet. If, as I expect, based on previous patterns, it gets put to some kind of vote I will almost certainly opt to keep the status quo. I quite like the linking system and I value the existing world naming conventions over and above supposedly "balanced" matchmaking. I'm far from convinced in any event that "Balance" is a goal worth chasing. 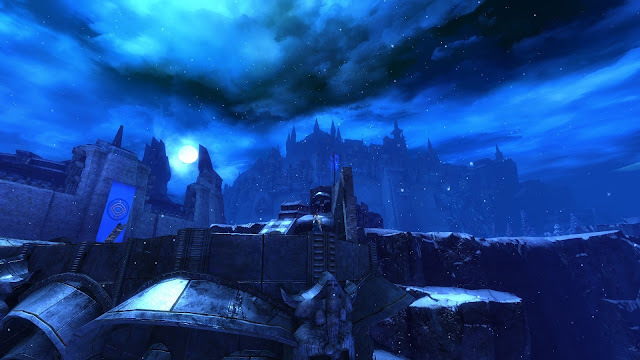 Balance in WvW, on the rare occasions it has been achieved, has felt a lot like boredom. My expectation for the new system, should it ever happen, is that it will produce anything but balance. Should it finally go ahead, what I imagine we'll get is a period of utter chaos followed by a slow apprehension that far from fixing the underlying problems the new system has made them worse. At the very least it should be entertaining. Whether or not I'll still be playing either WvW or GW2 by then, who can say? It's been a long run and if it wasn't for Mrs Bhagpuss's continued dedication to Tyria in general and The Mists in particular it might well be that I would already have moved on. If she doesn't take to the new WvW then that could be the end - at least of GW2 making up 80% of my gaming. Of course, that doesn't mean I would quit. GW2 is the poster child for pick up/put down gameplay among MMOs. People drop in and out all the time, for a few weeks, a few months, a few years. And there would need to be something more attractive to take its place - something else I'd want to play for several hours every day. I'm not sure there is, just yet. There's absolutely no doubt in my mind, though, that, removing named "Worlds" from the equation will loosen the ties that bind me to the game. I picked Yaks Bend for reasons that have only deepened over the last five years and while YB is very much not what it used to be it is still something. Worlds that last two months then vanish into the ether, guilds that are pushed around like bargaining chips, alliances that form and dissolve according to expediency, none of that can hope to replace the feeling of belonging that came with a permanent home world. Currently residing in the "Where Are They Now?" file. With the changes likely to come into play around the same time as the release of other Realm vs Realm options like Crowfall and Camelot Unlimited I feel this is very much a desperate last roll of the dice for WvW. Whether it can do anything to halt the slide I very much doubt but I guess it will be interesting to watch it try. 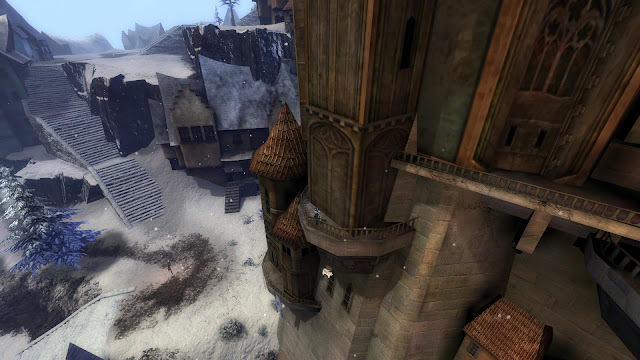 The bigger question is how much longer does GW2 itself have? We all realize now that MMOs can go on for years, decades even, but if even Blizzard are wary of hitching the company fortunes to a single title, how much more uncomfortable must ArenaNet grow as each year passes with nothing new to offer beyond some skins and lockboxes and the occasional expansion for a single, aging game? Something to come back to in a while, I'm sure. For now, I'm off to play some old-style WvW - while I still can. I concur that my current inclination is to also "value the existing world naming conventions over and above supposedly "balanced" matchmaking." I do feel a sense of community, and like that a somewhat casual WvW'er can show up, recognize commander tags and run with accomplished WvW'ers. FWIW, my more casual PvE guild has some serious WvW'ers, some of which prefer to run as individuals and small groups. Others just participate in a weekly guild WvW run, which was mainly where I was at, other than occasionally getting the urge to spend an evening running with a zerg. However, with your post on WvW dailies, I've now gone from doing a WvW option as an occasional easy alternative to using them as a more regular daily. My early impression is that the established WvW'ers will be able to form an alliance and transition together to the new proposal, if it goes live, but the more casual players may not find room there? "Balance" is all very well as a goal but if achieved it often results in stasis. WvW T1 was "balanced" all those years when BG/JQ/TC ran it as a closed shop but you'd hardly call that an ideal state of affairs. I think that the law of unintended consequences will prevent this new plan form providing anything like actual balance though. Chaos and exploitation will be the order of the day. The more I get used to the idea, the more I'm looking forward to watching the fireworks. I feel like the current ArenaNet team are just flailing around and basically finding tons of ways to run the game into the ground. Raids are either stale for statics that have adapted or groups broken by the high penalty Dhuum where one person making a mistake means going through a lengthy preliminary. Fractals have devolved into an elitist group at T4 and harder times for new blood at low levels. Dungeons are deserted. PoF metas are unpopular; the economy is run into the ground by oversupply of materials. Now it’s WvW’s turn for hail mary radical changes. Feels like most of the old guard devs have left for greener pastures already. I can’t be bothered to feel one way or another about radical WvW changes, because since the switch to Amazon’s servers, gameplay experience has been terrible in terms of packet loss, ping spikes and server routing. I’ve been getting by with a VPN subscription, but I’m definitely feeling like entire global regions have been written off as unimportant to their bottom line. This does not inspire long term loyalty. I'm tempted to say t'was ever thus. In my experience the entire post-launch life of GW2 has been nothing but shambolic flailing around by the dev team, whoever that happened to be. If they ever had any genuine vision it died at Southsun back in 2012. It's astonishing that the game has been so much fun for so much of its run given the never-ending series of disasters that pass for "development" but I'm still enjoying it. I just played WvW for four hours straight before i wrote this and i wasn't even planning to play at all - and we're in T1 which is a complete farce as everyone knows. I am serious about GW3 or whatever they call it, though. They did say they wanted a ten-year arc for GW2 and had no plans outside of that but they are over halfway through that now and assuming they want to stay in business I can't see how they can just milk this one game indefinitely. Is there any other successful MMO developer that does that? Everyone has at least a few titles even if one of them is the obvious cash cow - and no, GW1 does not count.